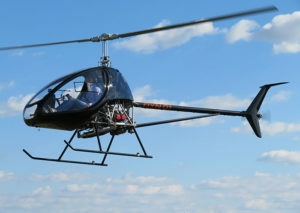 The Dynali Helicopter Company, whose H3 EasyFlyer is becoming increasingly popular in countries where ultra-light helicopters are authorized, has introduced a new higher powered engine configuration with the latest model engine control unit (ECU) from MoTeC, specially configured for helicopters by a team from MoTeC and Dynali. The H3 prototype first flew in 2012 and to date Dynali has delivered 81 of these machines — from the U.S. to China and New Zealand. The company recently extended its manufacturing facilities in Belgium to enable production to be increased to four or five units per month. Building on the its experience in designing the injection system on the 110-hp H3, Dynali is now offering a more powerful version which makes full use of the multi-function capacity of the latest MoTeC M150 ECU. The new ECU, as adapted by Dynali, offers a wide range of features including electronically controlled clutch, integrated governor, ignition and idle management and full sequential ignition for optimal precision and fuel economy. The mapping of the ECU has been designed by Dynali and MoTeC specialists exclusively for use in helicopters. It provides for visual and audio alarms, integrated GPS and an optimized power curve. Features include a dual fully redundant 250 and 500W electrical circuit and sensors, and a PDM to ensure protection of components in fail-safe mode. To coincide with this, Dynali announces the launch of its new version of the Rotax 912 engine block with enlarged cylinders which delivers 125 hp. While the 110 hp of the current model is more than adequate for flight conditions within the maximum takeoff weight of 500 kg, a little extra power can always come in useful and it makes the new model an exceptionally forgiving machine.